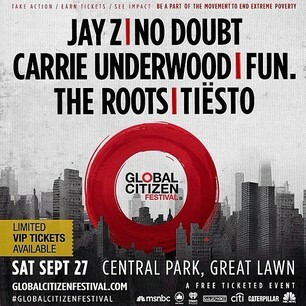 In *looks at watch* less than 24 hours Jay Z –along with No Doubt, The Roots, Fun, Carrie Underwood and Tiësto–will take over the stage in Central Park for The Global Citizen Festival. 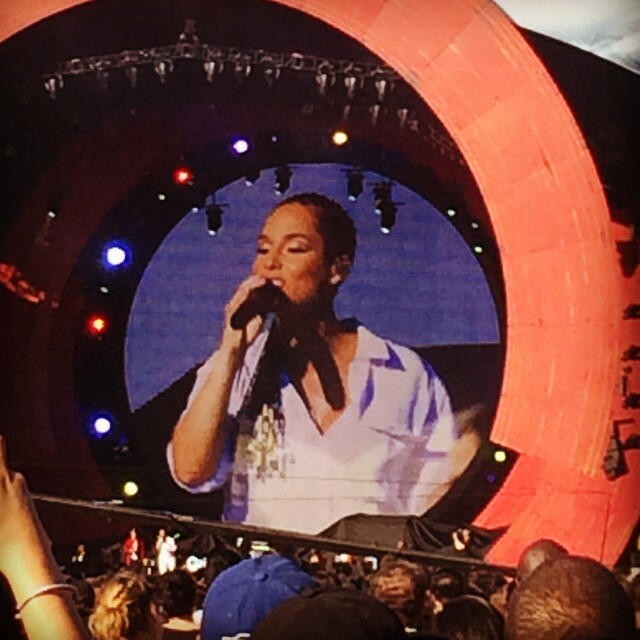 If you remember Alicia Keys rocked the mega crowd so hard last year, I think the trees found rhythm. And I wish she demanded a do over this year. Just because her “Why We Are Here” online campaign along with the matching thought-provoking (and foot-tap worthy) ballad is the embodiment of the festival’s mission to work together to end poverty. Jay may not change the state of poverty in one night, but he sure as hell will–to borrow from the late great Tupac Shakur–“spark the brain” that will make poverty a conversation starter. 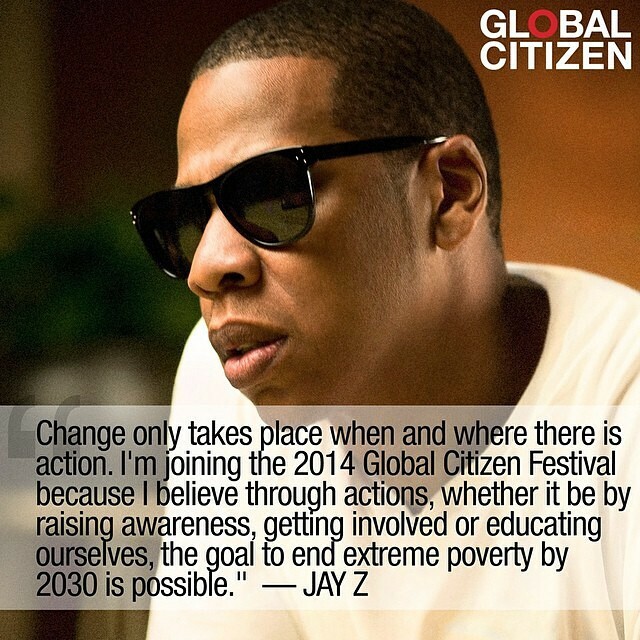 It wouldn’t be the first time Jay Z ignited a flame of consciousness to a cause close to his heart. I recall him doing just that, without picking up a mic. If you’ll allow me, I know it’s not Thursday, but let’s go back to 2006 when Jay Z announced a world tour to spread awareness for the global water crisis, in conjunction with being a spokesman for the United Nations. MTV captured one of his stops in Angola and released the documentary “Diary of Jay Z Water for Life.” To refresh your memory hit play after the jump. In his book “Decoded” he explains his ideas about giving to charity. And the importance of coming together to solve this ginormous world issues. …But whether it’s public or private, we can’t run away from our brothers and sisters as if poverty is a contagious disease. Amen, Hov. I hope those written words from four years ago will resonate on the stage tonight and squeeze its way into our hearts, enough to give a damn. 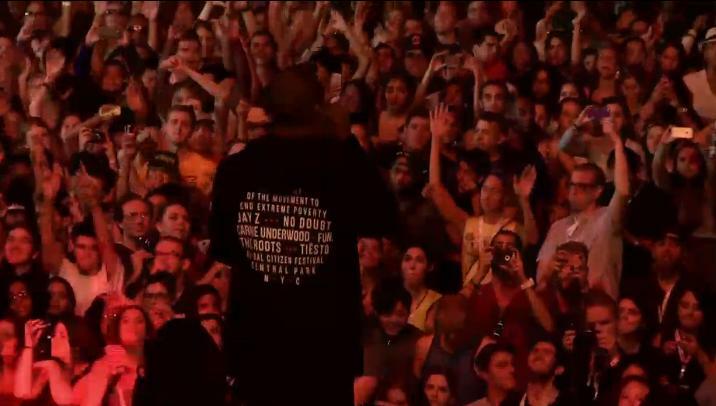 So, its been ten hours since we last chatted, and since then, Jay Z has rocked the crowd in Central Park …and got the date wrong for when the organization wants to eradicate poverty (it’s 2030, not 2013, Mr. Carter). But what he did get right is bring Beyonce on stage. 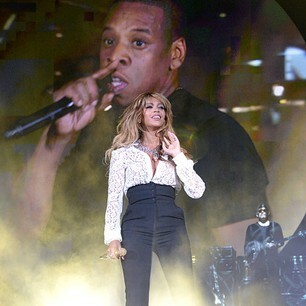 She was the cherry on top of Jay’s indulgent 50 minute concert. 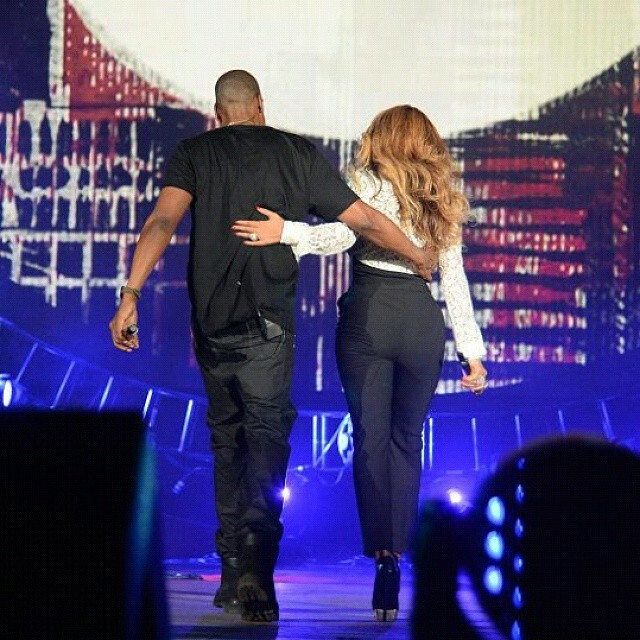 To see the Carters perform “Holy Grail” and “Young Forever,” check it out below. 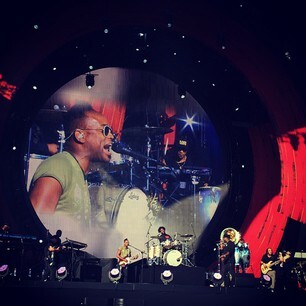 During his performance he thanked all the people in the crowd for working to eradicate poverty with their volunteer work. Our prayers were answered (at least mine were) with pregnancy glow and all, Alicia Keys made a return by opening the festival. That’s all folks!! **in my Jay Z voice** What a great night, wouldn’t you agree?